Beacon Village – The Kitchen, Inc.
Beacon Village is a housing development which helps meet one of our community’s most critical needs: affordable housing. The development is the result of collaboration between several organizations, including The Kitchen, Inc., Housing Plus, L.L.C. and the Missouri Housing Development Commission. The opening of Beacon Village I in 2014 was a milestone in the community’s progress toward ending homelessness. Beacon Village II, opened in 2016, adding an additional 32 housing units to The Kitchen, Inc.’s inventory of affordable housing. Beacon Village is located at 3902 W. Helen Street in Springfield. 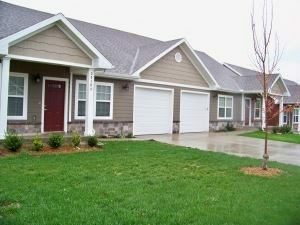 Support services – including case management and health screenings from The Kitchen, Inc. and Catholic Charities of Southern Missouri –are also provided at the community center located within the housing development. To find out if you qualify, contact Beacon Village at (417) 831-0644.